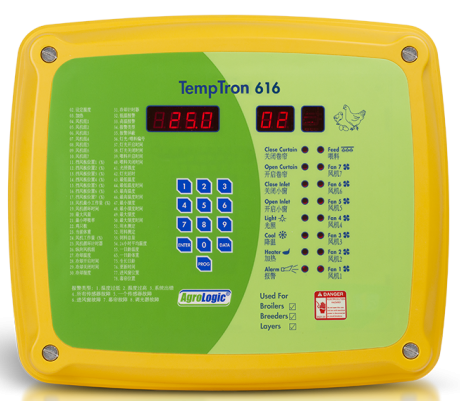 The temptron 616 is a low cost controller with two temperature sensors. Designed with intermediate to large poultry sheds in mind. With 16 in-built relays and a variety of programs this unit is extremely flexible and ideal for smaller broiler / breeder farms and larger egg layer farms. 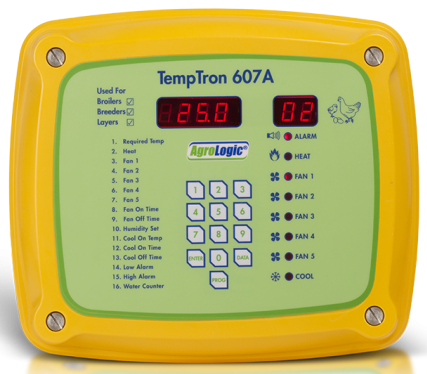 The Temptron 610 is designed for farms at the smaller end requiring less functions ie layer farms where a maximum of 10 output relays would be suitable. This unit also comes with two temperature sensors. 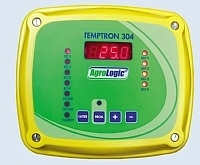 The Temptron 304 is a low cost four-stage micro-processor controller with a single temperature sensor, capable of temperature sensing and control and with the addition of a humidity sensor it can also sense and control humidity. 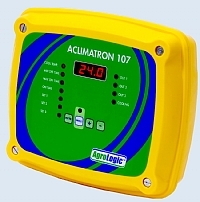 The Aclimatron 107 controller is a simple 4 output control unit that was especially designed to operate cooling systems in poultry and pig houses. Complete with 1 sensor. 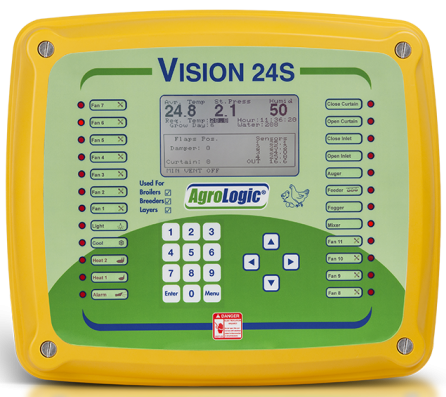 The AgroLogic cellink system uses the GSM phone network to communicate alarm messages from up to 8 sheds to your mobile phone and can also be used to remotely turn on or off up to 4 devices. 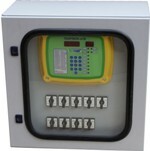 Contactor/Switch Panels can be built to suit your individual needs. This allows all your control equipment to be housed in one compartment, complete with manual overrides and any optional equipment you desire. Wind speed meters are an ideal tool for cross checking your shed environment. Some models include Temperature / Humidity / Wind Speed / Chill Factor and other readings to assist in the management of the environment in your shed, giving you great peace of mind. Ceramic Heaters for conventional spot brooding are also available in both gas and electric models. I.F.S carry a wide variety of fans in single and three phase. 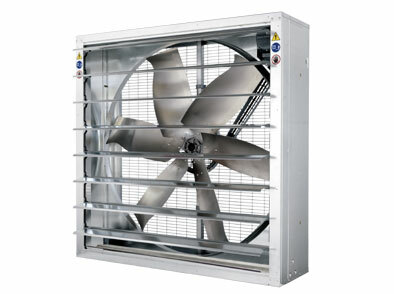 Exhaust and Circulating fans are available in different sizes and power ratings to suit most applications.